The Infiniview is 3 in 1 fully touch screen digital rearview mirror, dash cam, and a back up camera. Along with a 25 feet standard cable, a 40 feet extension is provided to hook up a trailer. Look forward to driving without a obstructed view. Having visibility issues when you’re backing up? The new InfiniView is a 3 in 1 package, complete with a dash cam, 9.7” digital touch screen anti-glare mirror, and rearview system to help you back up. 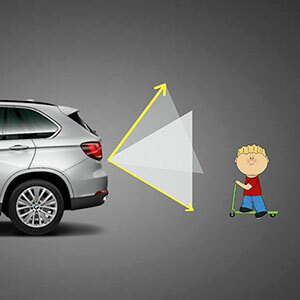 With this newest car accessory you will have full visibility of your surroundings to make driving a lot easier. With easy installation, the InfiniView simply clips onto the already existing rearview mirror. This digital mirror has a dash cam that pulls out on the front and a rear camera to record everything that unfolds on the road. The rear camera is IPX7 waterproof lens so it can be placed outside at the rear and capture everything in rain or fog without any damage. 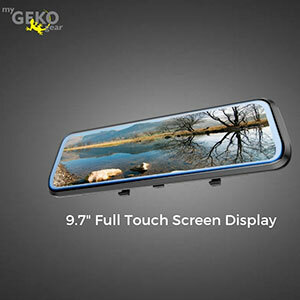 To ensure clear videos, both the front and the rear camera record in 1080P. The Sony Exmor sensor is in the front camera and the Sony Starvis sensor is in the rear camera perfect in low light situations. Recording at 170° wide angle this will ensure that users will be able to grab every small detail on the road. Along with a standard 25 feet cable, a 40 feet extension cable is also provided to hook up a trailer or trucks. Additionally, drivers can use scroll up and down on the touch screen mirror to move the rearview camera to make sure the path is clear. With the InfiniView drivers will no longer drive with an obstructed view! Instructions 1. Copy file” SD_CarDV.bin ” to the MicroSD. Put the card in the InfiniView. 2 .Plug in the external power supply and agree to the update file. 3. It will automatically shut down after the update is complete. 4. Remove the SD card and format it. 5. Update complete. 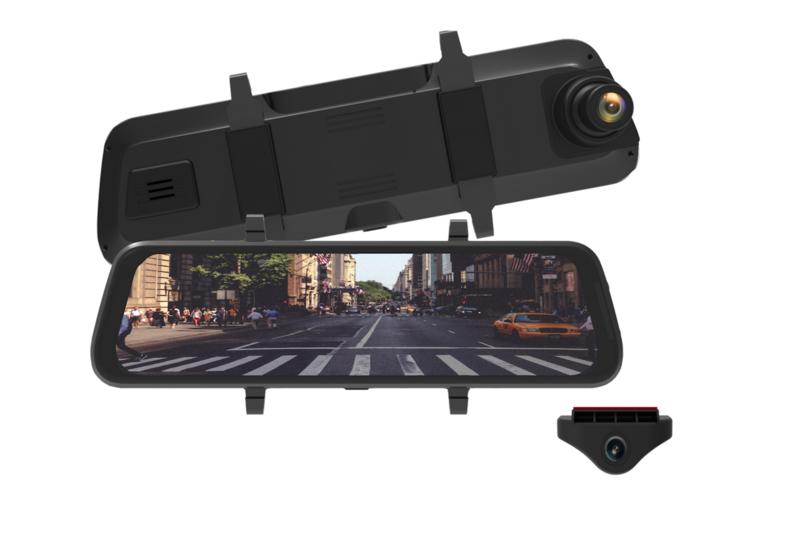 The InfiniView is a 3 in 1 package, digital mirror, back up camera, and dash camera. With this new unit, drivers will easily have visibility and recordings of all their surroundings to prevent accidents from happening. 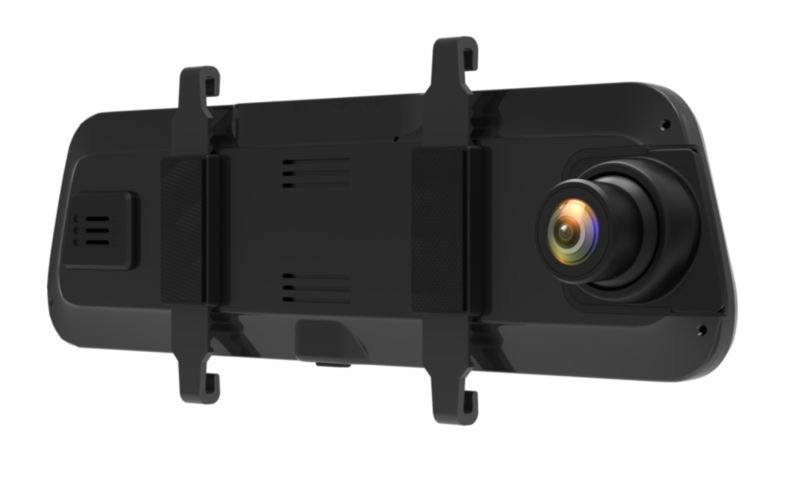 The InfiniView offers a wide field of vision with the rear camera. 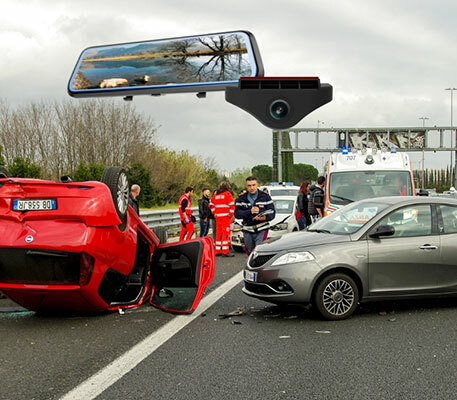 With a traditional rearview mirror you have a narrow vision and blind spots, with the InfiniView you’ll never have this problem again. With a wider view the drivers will be able to catch all the small details like license plates and everything else that may unfold on the road. Along with a standard 25 feet cable a 40 feet extension cable is also provided with the InfiniView kit. Users will have the option of hooking up the extension to a trailer so they will have visibility of everything on the rear end. 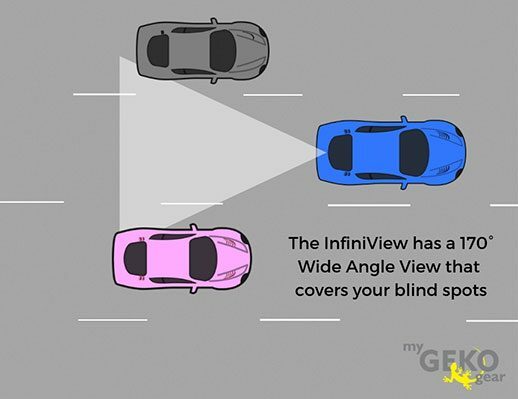 When the car is placed in reverse, the InfiniView will automatically adjust the image on the mirror to show you what is behind you. 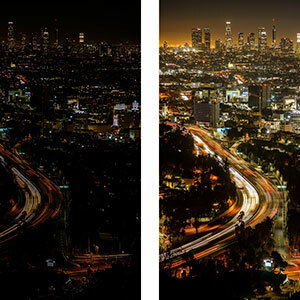 Additionally, users will be able to adjust the lens to look up and down to make sure nothing is in the way. 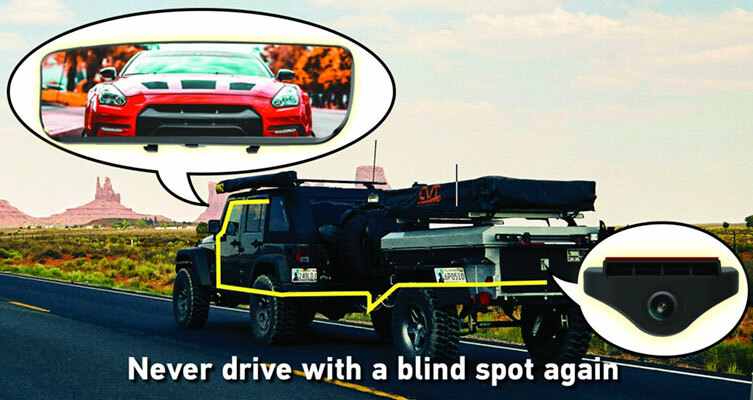 With this feature users will no longer have any blind spots and know that their path is clear before backing up to avoid any collisions. The Sony Exmor is built into the front camera and the Sony Starvis sensor is built into the rear camera of the InfiniView. These sensors are perfect for low light situations, this ensures that the camera will record at 1080P with crystal clear imaging regardless the time of day. The InfiniView is able to display a clear image when driving in the rain, this is made possible with an IPX7 waterproof rear camera. The rear camera is mounted outside on the rear and users don’t need to worry about it being damaged or malfunctioning. With this great feature drivers will no longer have visibility issues driving in the rain. 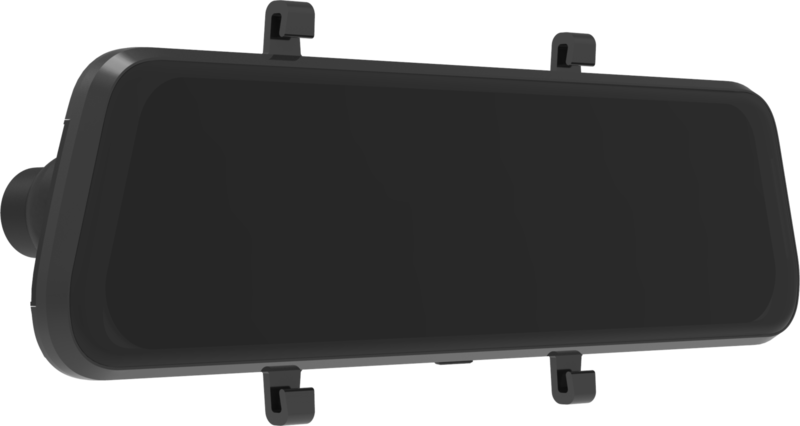 The InfiniView is an 9.7” anti-glare fully touch-screen mirror display making it easy for users to see and control the system. With this user-friendly screen users will be able to switch to their front and rear view. 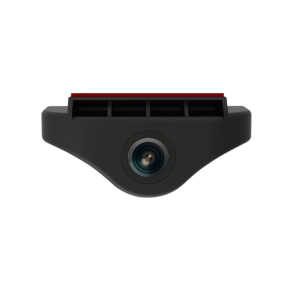 The InfiniView is a dash cam is a G-Sensor enabled dashcam. 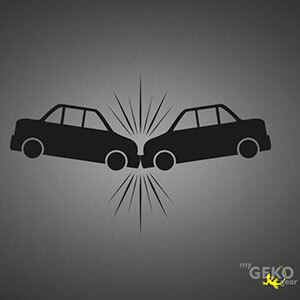 Once the dash cam detects any impact, drastic braking, or sharp turns the G-Sensor will enable emergency recording and the dash cam will automatically save 2 files of the emergency by write-protecting them.